Many of us hate paying costly insurance premiums, especially when we feel like we have a decent driving record or do not use or cars very often. If we were to evaluate our risk of getting in an accident, we would assume it was probably unlikely, so why is it that we have to pay for auto insurance? No matter where you live, you are required to pay some time of auto insurance. Usually, you are required to pay for the liabilities that you might be at fault for, however the person injury protection and property damage levels often vary from state to state. 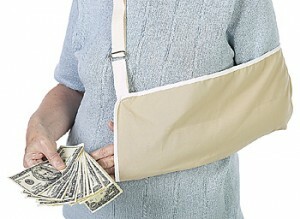 There are, however, a few that do not require liability insurance – Wisconsin and New Hampshire. Although, it may seem like a wonderful thing to be free from auto insurance premiums, these states do charge an annual. Apparently the fee can be as high as $500. Also, before you consider packing up all your belongings and moving to one of these fine states to say on auto insurances, remember that you are putting yourself in serious financial jeopardy when you drive without auto insurance. Although you may be a great driver, you also never know when something could go wrong or someone with no insurance could hit you.